[A] Which airport was voted best of 2019? [Q] Which airport was voted best of 2019? Today, everyone looks for the best airline with the most reasonable price. Searches start with the main companies: United Airlines, Singapore Airlines and Lufthansa, among others. What travelers may not know, however, is that many of these popular airlines are descendants of several great airlines that came before. Here are five forgotten airlines everyone used to love. Pan American World Airways (Pan Am, as it is more commonly known) is not just the title of a fictional television series starring Christina Ricci. Pan Am is one of the most adored airlines of all time. Founded in 1927, it was a pioneer in the aviation industry, bringing popularity to jumbo jets and other aircrafts when no one else in the industry was really using them yet. It was also the first airline to begin using computerized systems for flight booking and reservation management. This airline was so beloved that, after it closed up shop in 1991, the Pan Am Historical Foundation was created, and it's entirely devoted to archiving news about Pan Am and its historical significance. 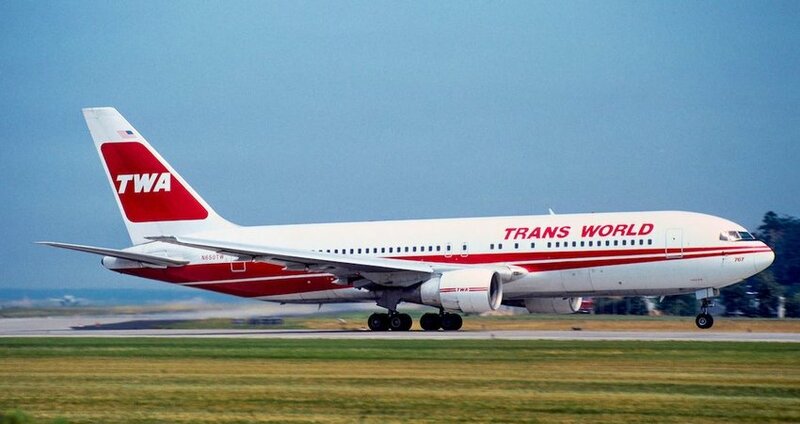 Trans World Airlines (TWA) was born to carry mail in 1920s. Under the funding of billionaire aviator Howard Hughes, which started in 1939, the airline quickly became much more than that. Deemed "the airline run by flyers," it released sleek new airplanes (this time for carrying people, not just mail), and was one of the first airlines to receive a jumbo jet. Unfortunately, though, according to USA Today, the airline began to crumble in the '70s, and was forced to file for bankruptcy in the '90s. In 2001, it was bought out by American Airlines.